Ann Demeulemeester Skirt from Spring 2010 RTW Collection. 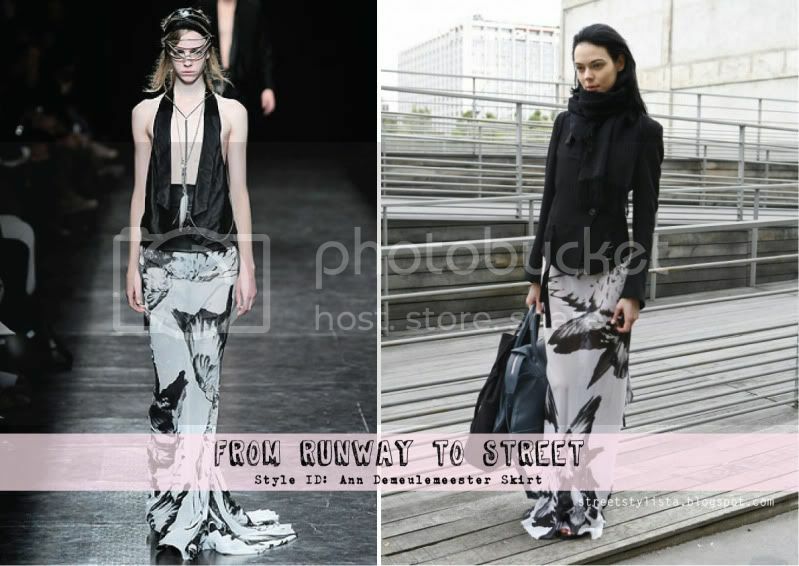 And the love for maxi skirts continues. 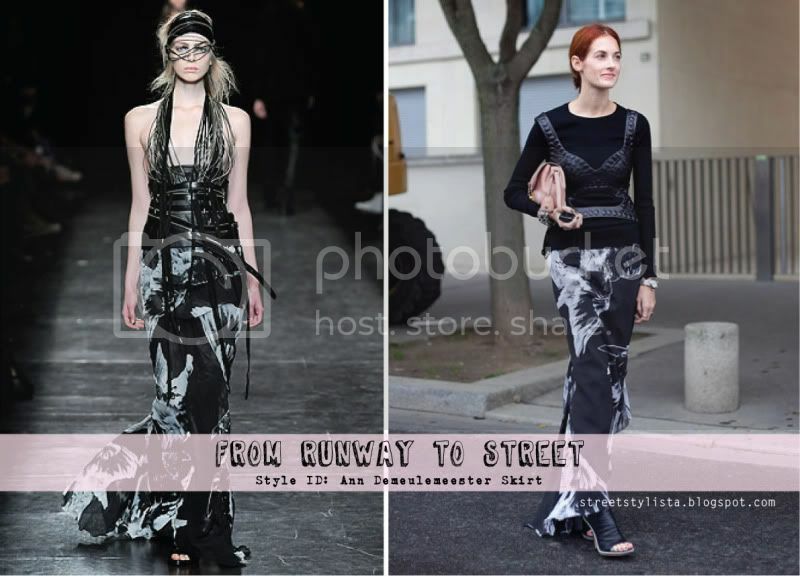 Taylor Tomasi Hill and model Kinga Rajzak both wearing a gorgeous printed Ann Demeulemeester skirt from the Spring 2010 collection. Started noticing Taylor Tomasi a couple seasons back and I must say I really like her style. This is just one of the many outfits she was spotted wearing during the past fashion week.